Bar Celona is hosting "Hearts for Haiti" Sunday night. Photo by Bartomeu Amengual. This Sunday, Jan. 31, NYC’s cocktail community is coming together to raise money for the crisis in Haiti: “Hearts and Cocktails for Haiti” is asking for $40 (100% proceeds to American Red Cross’ Haiti Relief) at the door. Attendees will enjoy a four-hour open bar from 6 to 10 p.m. with cocktails mixed by the USBGNY, LUPEC NYC, Jim Meehan of PDT, and Dale DeGroff, among others. Jill DeGroff will be donating sales of her book, “Lush Life: Portraits from the Bar,” to the Haiti fund. This event, organized by Leblon Cachaca’s Ray Raymond (of Haitian descent) and Dave Catania of Team Spirits Imports, takes place at Bar Celona. 104 S. 4th St., Brooklyn. On Feb. 2 from 6 to 8 p.m., The Summit Bar is hosting a special tasting event, “Shaken, Stirred, and Straight,” featuring Compass Box whiskey’s Robin Robinson and St-Germain’s Phil Pepperdine. Tastings will be free and featured cocktails will be just $6. 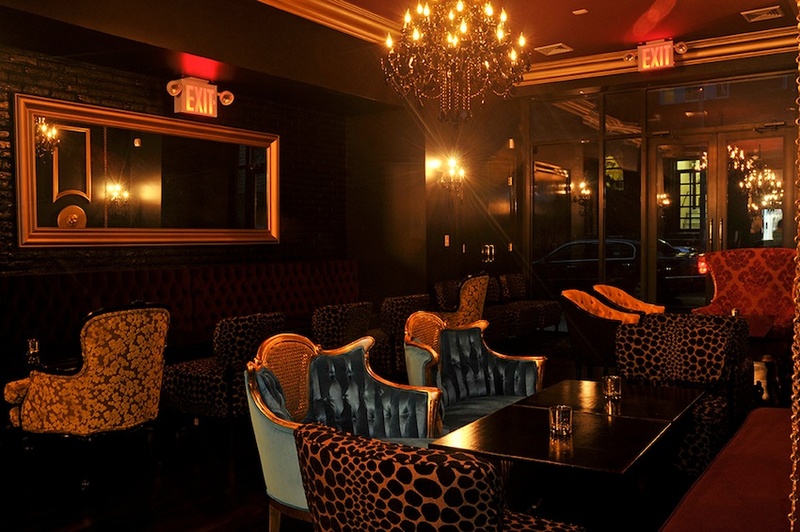 133 Ave. C.
Also on Feb. 2, don’t miss Jason Littrell’s initial run as bartender at Louis 649‘s Tuesday Night Tastings. While the tasting goes from 7 to 9 p.m., Jason will start shaking from from 10 p.m. ’til lord-knows-when. Already dubbed “Groundhog Day Massacre,” this is guaranteed to be a scene not for the weak of liver. Quite possibly the most awesome cocktail competition ever, the 6th Annual “Cocktail World Cup,” presented by 42 Below and the U.S. Bartending Guild, is accepting entries through Feb. 8. The top three bartenders chosen for the U.S. team will join finalists in New Zealand for challenges such as mixing drinks while bungee jumping and riding in jet boats [looking forward to seeing video of that!]. Oh, and Dale DeGroff and Jim Meehan will be judging in New Zealand, too–those guys have all the fun! Enter the contest here. And it’s already time to start thinking about the most spirited event of the summer, Tales of the Cocktail–find instructions for entering the official Tales cocktail contest here. Entrants are challenged to create a drink inspired by the famous “Planter’s Punch” that will impress judge Jeff “Beachbum” Berry. The drink must include at least one sponsored ingredient, and should consist of at least a rum, citrus, and sweetener. The deadline is Feb. 22. « Dizzy Recap: The First Dizzy Fizz Blogger Brunch!